With the 2018 International Conference of Data Protection and Privacy Commissioners, hosted by the EDPS and the Bulgarian Data Protection Commission, now only a few short weeks away, the September edition of the EDPS Newsletter covers all you need to know before you arrive in Brussels this October. If you have not yet registered for the conference, there is still time to do so! Read on to find out more. Debating Ethics: What's it all about? 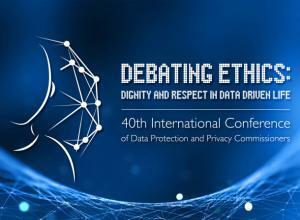 The 40th International Conference of Data Protection and Privacy Commissioners will be an event unlike any of its predecessors. Those attending the public session of this year’s conference will be confronted, not with the usual parallel sessions, but with one coherent discussion, divided into five sessions, each building on the ideas of the one preceding it. The result? 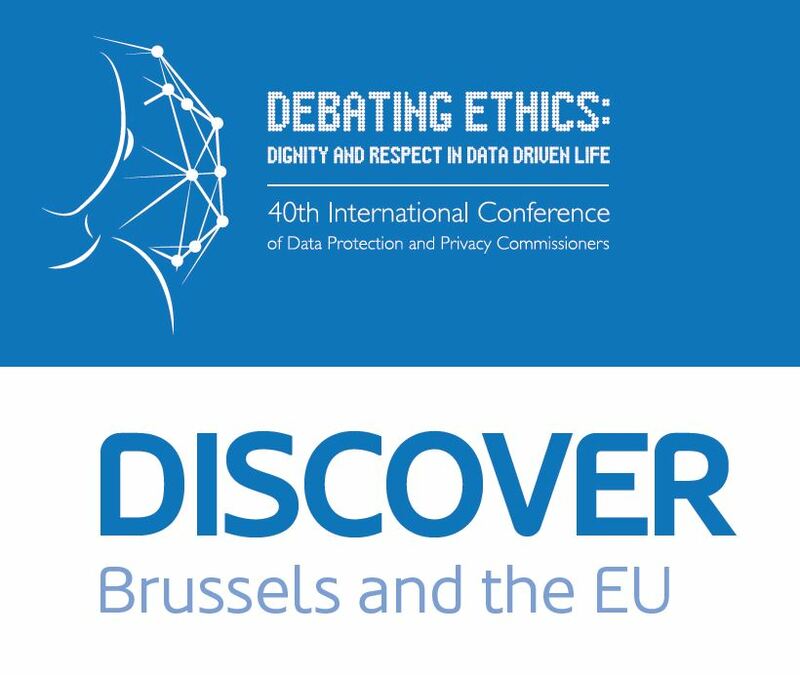 A stellar line-up of speakers and the chance to really focus our full attention on debating ethics: dignity and respect in data driven life. It is an approach that will allow us to experiment with a variety of presentation techniques. Keynotes, panels, statements and interviews from a range of distinguished speakers will provide varied and interesting insights into the discussion, but perhaps the most important contribution will involve you, our audience. Throughout the conference, every person in attendance will be invited to get involved, most notably through our conference app, available for download around the end of this month. These diverse forms of interaction reflect the diverse list of speakers set to take the floor. These include high-level EU representatives, renowned academics, pioneers of the online world, refuseniks, activists, human rights defenders and NGO representatives, Silicon Valley VIPs, legal experts, writers and journalists, thinkers and dreamers and, of course, representatives from data protection authorities from all over the world. Our discussion will follow a logical progression. First, we will address the concept of digital ethics and why it is important, before moving on to evaluate the achievements of ethics in other fields. An assessment of the risks and challenges we face in the digital age will follow, before we end with a discussion on governance: what should our next steps be, who should take them, and how? We want to stimulate an honest and informed discussion about what digital technology has done and is doing to do to us as individuals and as societies, and to consider future scenarios. We want to better understand the impact of technology on people of all generations, in all parts of the world, including the way people think, interact with others, develop their opinions, create art and write, how they buy and sell and how they participate in civic life. With this in mind, we aim explore how the state and companies use technology to monitor, influence, prohibit and coerce certain types or behaviour. We will debate who benefits from technology and who loses out, as well as addressing the social and environmental impact of the supply chain. A workshop session, the creative room, will operate in parallel with the main conference discussion on Thursday morning. Involving leading thinkers in the field, small working groups, made up of people from different disciplines, will take part in this collective intelligence exercise aimed at developing potential trajectories for a practical approach to digital ethics. The 2018 International Conference of Data Protection and Privacy Commissioners is more than just a data protection conference. It will be an exchange of ideas between experts from a range of different disciplines and backgrounds on a topic that affects us all. We hope to see you there! 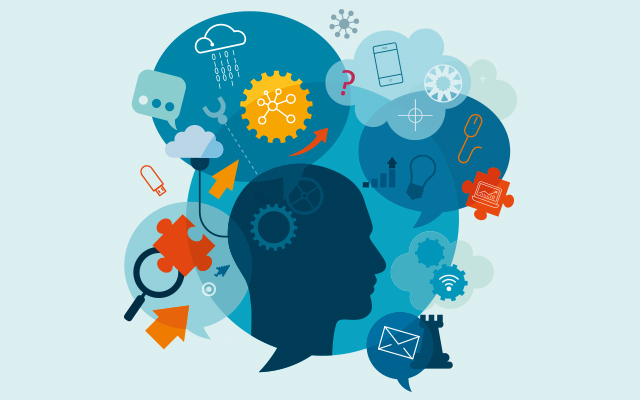 Faced with the task of trying to manage the dynamic between data protection and digital ethics, the data protection community is well placed to take the lead in exploring digital ethics. However, it is not a challenge that the data protection community can overcome alone. Debating digital ethics requires input not only from data protection experts, but also from other experts in a range of different fields. With this in mind, the EDPS has prepared a stellar line-up of speakers, representing a range of different disciplines, nationalities and perspectives. As the first EU institution to host the international conference, we are honoured to be able to count on contributions from several high-level EU representatives, including European Parliament President Antonio Tajani and EU Commissioner for Competition Margrethe Vestager. Renowned academics, such as Professor Anita Allen from the University of Pennsylvania and Professor Urs Gasser from Harvard, will also join the discussion. The need to debate digital ethics stems from the advances and developments in our technological capabilities. We will therefore be hearing from some Silicon Valley VIPs, including Facebook founder and CEO Mark Zuckerberg and Google CEO Sundar Pichai, as well as the inventor of the World Wide Web himself, Sir Tim Berners Lee. We will also welcome Silicon Valley refusenik Tristan Harris, the co-founder of the Center for Humane Technology, and activists, human rights defenders and NGO representatives, such as Maya Wang from Human Rights Watch and Frederike Kaltheuner from Privacy International. Providing a legal perspective on the debate, we have the honour of welcoming the President of the European Court of Human Rights, Guido Raimondi, former Chief Justice of India, Jagdish Singh Khehar and the UN’s Special Rapporteur on the Right to Privacy, Joe Cannataci. Writers, journalists and other thinkers, such as Maria Farrell, Julia Angwin, Raymond Serrato and Jaron Lanier, will also make valuable contributions to the debate. Of course, the discussion would not be complete without important input from data protection authorities from across the world. We look forward to welcoming the Data Protection and Privacy Commissioners of the UK, Canada, The Philippines and Senegal, among others, to end our discussion by considering their own role in the governance of digital ethics. For more information, and to see the full list of speakers, visit the international conference website. Ethics, simply put, is about defining right and wrong, both in theory and in practice, in specific circumstances. It is a well-established concept in many fields, such as medicine. While it is not an alternative to law, it informs laws as they are being drafted, interpreted and revised. It can also help guide people and organisations in deciding whether to act or not in an area where the law appears to be silent. On 25 May 2018, the General Data Protection Regulation (GDPR) entered into force. The aim was to introduce data protection legislation designed for the digital age, ensuring more effective protection for the personal data of all EU citizens, consumers and other individuals. However, in many cases, the need to comply with these new data protection rules has been treated by businesses as a mere checklist, aimed principally at protecting the business itself from the potential consequences of non-compliance, rather than consciously improving the rights and protection of the individuals they deal with. While compliance with data protection rules is an important step, it is far from being enough. Over the past two decades, we have witnessed a digital revolution, which has changed our world in ways that were previously unimaginable. While many developments have brought benefits, we also need to confront a range of new problems and challenges, including inequality, vulnerability and discrimination in the digital era, internet addiction and the attention economy. Addressing these issues requires deep reflection and cooperation across a range of different disciplines, not just data protection. At the present time, there is no common digital ethics, no consensus on what is right and wrong when it comes to the development of digital technology. It is time to start thinking about the kind of world we want to live in, and acting to ensure that the values we hold dear are adequately protected. Debating ethics is a way to kick-start this debate and instil a sense of responsibility and commitment in those who are shaping our new world through the development of new technologies. It is a way to explore the differences between how the world currently is and how it should be, through identifying the values at risk and what must be done to preserve them. Debating digital ethics is ensuring that human beings, not technology, remain our primary consideration in this digital era. So make sure you join us at the International Conference of Data Protection and Privacy Commissioners on 24 and 25 October 2018, as we kick-start this vital debate on digital ethics and the world we want to live in. For more information, see the Ethics page on the EDPS website. 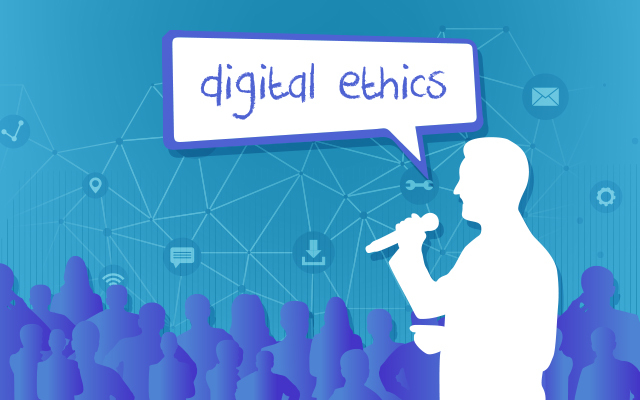 In the June edition of the EDPS Newsletter, we asked you to take part in our public consultation on digital ethics. The consultation took place as part of the EDPS Ethics Initiative and was open from 15 June to 15 July 2018. It aimed to build on the results of the Ethics Advisory Group report, published in January of this year. We are happy to inform you that the results are now in! We received an impressive 76 responses, from a wide range of sources around the world, including health centres, kindergartens, universities, governments, NGOs, law firms and software developers. The main conclusion? Ethics is on the agenda of the majority of those organisations who participated and is considered to be extremely relevant. Contributors cited poignant examples of some of the challenges we face and must address. These include robots in healthcare and personal digital assistants, online voting, state nudging and the future of work. One contributor commented that privacy goes beyond compliance; mastering the privacy challenge enables sustainable digital opportunities. Another noted the importance of human rights and European values of liberty, equality, freedom, democracy, while a third acknowledged that the challenges are immense and difficult. More information on the results of the consultation are available as part of a short summary, published on the EDPS and international conference websites. In the tradition of past years, side events will once again take place in the margins of the 2018 international conference. These will focus not only on the conference theme of digital ethics, but also on a wide range of other topics relating to data protection practice. With over 40 events to choose from, all taking place on 23 and 25 October 2018, there is sure to be something to catch your interest! Organised by a variety of different organisations and groups from all over the world, the side events during the international conference week represent a unique opportunity to interact with colleagues from diverse nationalities and backgrounds and to learn from their differing perspectives on a range of data protection issues. The diversity of topics up for discussion is well illustrated by a selection of events. One of these is an event organised by the International Committee of the Red Cross (ICRC) and the Brussels Privacy Hub (BPH), exploring the data protection implications of using new technologies in humanitarian action. The event will act as the launch of a new working series aimed at producing the second edition of the Handbook on Data Protection in Humanitarian Action. 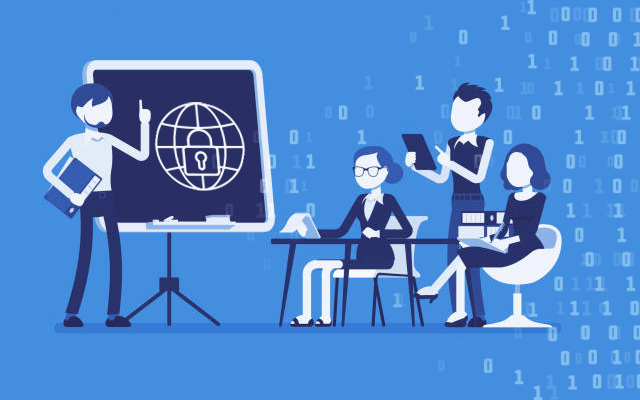 Another event, organised by the Council of Europe, will see an impressive line up of data protection experts discuss their views on the modernisation of Convention 108, the world’s only international treaty safeguarding the right to data protection. The event aims to explore and unpack the newly updated Convention 108, providing information about the new text and its value and benefits for you. 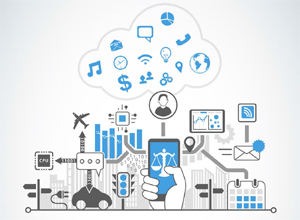 Artificial Intelligence (AI) is a hot topic in data protection right now, with clear connections to digital ethics. Public Voice Coalition, a broad coalition of civil society organisations, invite you to join them for their side event, exploring the implications of AI for human rights, consumer protection and competition and the relationship between ethics and the law. In the year of the General Data Protection Regulation (GDPR), it is perhaps unsurprising that many of our side events are set to focus on the topic. The EDPS and EDPB will jointly host one such event on 25 October 2018. Starting at 2.30pm, experts from data protection and other authorities across the EU and globally will join the heads of the EDPS and EDPB, Giovanni Buttarelli and Andrea Jelinek, for a discussion on the GDPR, five months on. Make sure to register in advance to take part in this interesting discussion. All side events will take place on either 23 or 25 October 2018. For a full list of events, venues, descriptions, times and speakers, check out our side events programme, available on the international conference website. We have managed to secure some of Brussels’ most striking and prestigious venues for this year’s international conference. We are particularly excited to welcome you to the venues selected to host the main sessions of the conference. On 22 and 23 October 2018, ICDPPC accredited members and observers will gather at the Palais d’Egmont, the venue for the closed session of the conference. 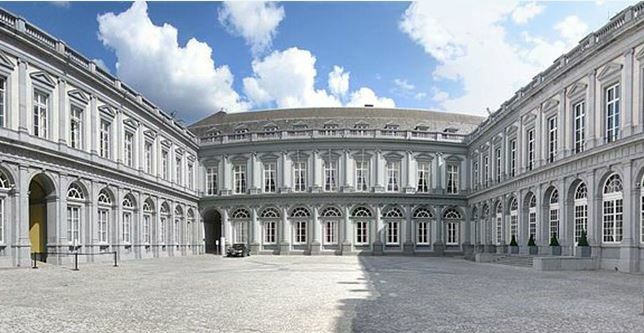 Originally constructed in the sixteenth century, the Palais d’Egmont has played host to several members of the European royalty and nobility over the years, including Queen Christina of Sweden and Louis XV, as well as to prominent European philosophers and artists, such as Voltaire and Jean-Baptiste Rousseau. Now the property of the Belgian Ministry of Foreign Affairs, it hosts a range of important diplomatic events and has welcomed some of the world’s most influential and well-known heads of state. The venue for the public session, though different, is equally impressive. The Hemicycle of the European Parliament usually hosts the world’s largest transnational parliament. On 24 and 25 October 2018, however, it will play host to representatives from a range of different disciplines and nationalities, for an interactive debate on the digital revolution and its impact on our societies. As the location for the European Parliament’s largest and most important debates and votes, we hope that it will prove a source of inspiration for our own debates on the topic of digital ethics. The EDPS has some special evening events lined up for your stay in Brussels. Whether you are looking to network or simply want to enjoy your time in the city, make sure you attend our Welcome Cocktail and Gala Dinner! The Welcome Cocktail takes place at 6.30pm on Tuesday 23 October 2018 at the inspiring Magritte Museum, in Brussels’ Place Royale. An Evening in Brussels is the theme for the event, brought to you by the conference hosts in conjunction with the International Association of Privacy Professionals (IAPP). Taking place on the eve of the public session, it will be a great opportunity to get to know each other while sampling some typical Belgian cuisine. Food on offer will include hot and cold hors d’oeuvres, beers from local breweries and, of course, the world-famous Belgian chocolate! After a full day debating digital ethics, make sure to join us on Wednesday 24 October 2018 for our Gala Dinner! 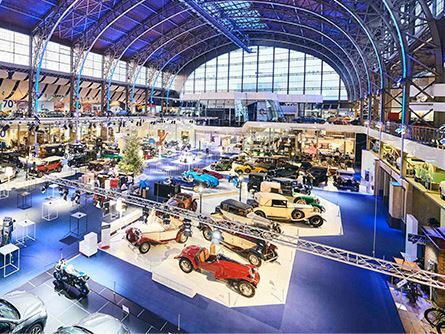 Taking place at the spectacular Autoworld building, home to one of the biggest vehicle collections in the world, this is an event not to be missed! A great opportunity for networking or winding down after an intense day of discussions, make sure you join us for dinner, drinks and entertainment at this iconic venue in Brussels’ Parc du Cinquantenaire. Both events are included in your registration fee. We look forward to seeing you there! The EDPS conference team has put together an extensive list of events and activities to help you make the most of what Brussels and Belgium have to offer during your stay in the EU’s capital. Home to the European Parliament, the Council and the European Commission, Brussels is the perfect place to explore the history and workings of the EU. Make sure to register for one of our private group briefings of the European Parliament Hemicycle, before visiting Europe’s largest parliamentary visitor centre, the Parliamentarium, and the House of European History. Entrance to all three locations is free of charge. Those interested in the Hemicycle tour must contact Forum Europe to register before 12 October 2018. Brussels is also a great base from which to take in the history, architecture, food and drink for which Belgium is renowned. The beautiful cities of Bruges and Ghent attract thousands of tourists each year, and are only a short coach trip away from the EU capital. If you are interested in visiting one of these historic cities, book a place on one of our private group tours, taking place on Friday 26 October 2018. For more information on these, and other, activities, and to register your interest, please consult our webpage on discovering Brussels and the EU, where you will also find a more exhaustive list of things to see and do in Brussels and Belgium. More information can also be found on the Visit Brussels website and EDPS staff will be on hand to help you with any questions you might have throughout your visit. We look forward to welcoming you to Brussels in October!